Thunderstruck is an online video slot that has sharp and amazing graphical quality unlike any other. It was launched in 2004 to internet gamblers in the UK and countries around the world. One can find it at online casinos offering Microgaming (Thunderstruck’s developer) games. The Thunderstruck slot machine has a frame consisting of 9 paylines on 3 rows and 5 reels. The theme centers on the Norse god of thunder, Thor. 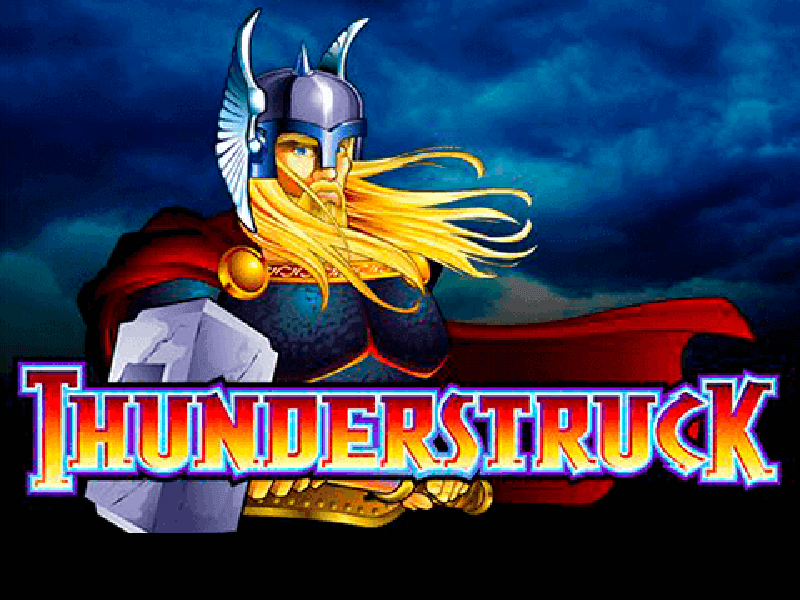 Thundering Zeus is an online slot with slightly similar features. Thor is the wild symbol that offers a double multiplier while replacing reel icons to form winning combos on a payline. However, it does not substitute the scatter symbol which is represented by the two rams. Matching more than three ram icons on an active payline generates fifteen free reel spins. During the free spin round, one can create another 15 extra spins by matching the three scatters. The slot has a jackpot worth 10,000 coins that a gamer gets in the rare event that five Thor wild symbols match from left. Regardless of your coin value, this is an enormous prize to garner. At the end of every base game, you get a chance to double or quadruple your winnings. You do this by guessing the color or suit of a facedown card. A wrong guess means you lose everything; truly a high risk, high return scenario. The credit for matching other symbols are contained in the paytable. The minimum stake is 0.09 while the maximum is 45 coins. The best way to understand the gameplay better is to play free Thunderstruck casino slot machine. It is freely accessible via your computer or compatible smartphone with no download required. This way, winning will be simpler for you. During the free spins, use smaller stakes because they can be retriggered for 15 extra spins. Do not use larger winnings from the root game in the Gamble feature. Play with money you can afford to lose. The payback rate of this slot is 96% which gives the house a 4% edge. It is therefore favorable to players betting with real money. Thunderstruck online casino slot has three amazing bonus features that make its meager 9 payline a non-issue among gamblers. These are the re-triggerable free spins, jackpot, and a 2x/4x Gamble feature. On top of that, the Microgaming user interface is easy to use hence smoothening gameplay. 0 responses to "Thunderstruck Slot"